For those of us who are not blessed with our own home SPA, going to one is usually the highlight of the holidays. But! Isn’t it frustrating having to share this precious time with total strangers? Full of energy children jumping in the pool one after the other. Individuals with questionable hygiene. Or the worst: a bunch of semi-drunk boys or girls on a bachelor(ette) party. We’ve had a “taste” of this and in all honesty, it was disturbing (mildly put). a SPA villa with cooks and maids which we had to ourselves and only! Got your attention? There’s so much more! I have to say that both of us are quite cautious when people talk about luxury. We’ve come to realize that the understanding of this term has as many varieties, as there are people on Earth. What we dislike is the kind of in-your-face luxurious places. Golden faucets and toilet seats, overly decorated spaces, a bunch of needless objects… Ugh. What we love, however, is comfort. The kind of luxury that allows you to completely ignore any worry. The luxury of having all the necessary amenities and a little bit of spoiling. This is what Villa Vuchev is about. No wonder they won the “Boutique Villa of the year” award! Upon arrival, we were nicely surprised by the fact that we will be having the entire villa to ourselves. This was the time my mind clicked. I knew Villa Vuchev was my new “it place”. Reserve even 1 out of the 8 gorgeous rooms in the house and you are in control of the entire place. Along with the staff. And the sauna. And the hot mineral water swimming pool. No other guests will walk in. I kid you not! We had the pleasure of visiting the villa along with several colleagues from ASTOM. The first task upon entering was to pick a room. Each room in Villa Vuchev has it’s own style and personal charm. Although they look alike, neither is precisely like the next one. Finally, we opted for the gorgeous ceiling and bathtub equipped bedroom on the top floor. The beds in villa Vuchev were so comfy! Coffee, fizzy drinks, a selection of the finest teas you can imagine. And as much beer as you want. Finally! Someone, who understands, that the whole concept of luxury means not looking for your wallet every two minutes! What a relief! Yes, it is included in the price of the stay, and no, no one questions how much you consume. One toe carefully touches the water and quickly comes out. Excuse me, what is the temperature of the water? Forty-one degrees Celsius? Oh, it comes straight from the mineral water spring! Nice! Naturally, I don’t need to explain that we ended up spending quite some time in the pool… You can tell by the pics, right? Yes, Ellie is enjoying it! One of my most favorite things about Villa Vuchev is that you get it along with the staff. What’s even better is that they can prepare your dinner or lunch. For a rather symbolic fee, you can have your meal served hot exactly when you want it. The only thing you have to do is tell them what you’d like to have. I’d like to take a second here, and although we may have never really met, I’d like to address you as a friend. If you were in my immediate circle of close people and asked me for a recommendation, I would have sent you to Villa Vuchev. After returning back to reality, I couldn’t help but notice how much time consuming this whole food thing is. Even going to a restaurant involves picking one, and putting some decent clothing. And this does not apply to Villa Vuchev. You can have your lunch or dinner in your swimwear or in the soft hug of one of the fluffy bathrobes you’ll find hanging on your very own bathroom door. And what about our stay in villa Vuchev? Well, I won’t disclose the spicy details, but let me tell you that this is the last picture on which we were all decently dressed. As for the rest of the time…. Well, even travel bloggers are allowed some privacy, right? But don’t you worry. We will soon tell you about few absolutely lovely things you can do in Velingrad and the area. As for now, let us leave you with few more pictures from this beautiful place. And to answer the most common question “Is it worth it?“, we say “HELL YEAH!“. If you really want to have a quality holiday, wonder no more. Head off to the Villa Vuchev’s website and take a look at everything they offer (because we didn’t even mention the Finnish sauna and the jacuzzi). Then book your holiday. You’ll thank us later. I’ve neither been to Bulgaria or a private villa as beautiful as that. However, I think it’s really worth it based on your photos. These are for people who just want to relax and bond with their loved ones. I’m sure it’s a great staycation. If I have the luxury of time, I’ve already seen the sights around and I’m with a group, surely I’ll opt to stay here. This looks like a great place, and judging from your photos, all of you had a blast! This makes me very envious! What kind of teas do they have? The packaging looks really creative and awesome. Did you book the entire villa or it just so happens that you were the only ones there? The place looked like a pleasant place for relaxation. In regards to tea – anything you can imagine. From English Breakfast, Assam & Earl Gray from the finest tea brands through herbs, collected by locals in the mountains that Velingrad is surrounded by. As for the villa – that’s what I was trying to explain with this article. You rent one room and they don’t let anyone else in the house. You can even go there by yourself and you will still have the ENTIRE house. OMG I have never been to a spa, I am more the type of person that prefer outdoor activities but definitely have to do that ! Sandra, I know exactly what you’re talking about cause we are the same thing! But I assure you – there’s nothing better for your muscles than mineral water after a day of hiking (tested). I really liked the idea of having thr spa to yourselves. Free from random people! I’m glad that you had fun and I hope I can visit a spa villa soon. Omg this is glorious! That food made me drool haha. I’ve never been to a spa before. In my head, spa is another word for everything wrong with them, that you described, and saunas. And I don’t like neither, haha! I completely understand you… We used to love spa places until we realized that most of the public ones are quite unpleasant. Which is precisely why I wanted to tell the world about Villa Vuchev. Hygiene there is a top priority and that’s obvious. Truly unique! A weekend here would really take away all of my stress! Just look at all those food! And I’m sure a dip in the pool wouldn’t hurt either especially this summer. The whole and sole purpose of me starting a blog was to earn money and freedom to go to places like this. This is now one of my must do visits. Probably in one years time but I will definitely attribute this travel to you guys. Thanks for this lovely destination. I bet you’ll love this – it is the ultimate relax destination! Let us know if when you’re coming and we’ll be happy to show you around! I am not what is going on with my comments. The ‘Post Comment’ box is clicking on it’s own. Awesome <3 The villa looks beautiful. I have never been to Villa outside Ireland but your pictures so make want to book my flight right now. 😀 Lovely photographs as well. Thank you! The place is indeed one of a kind. 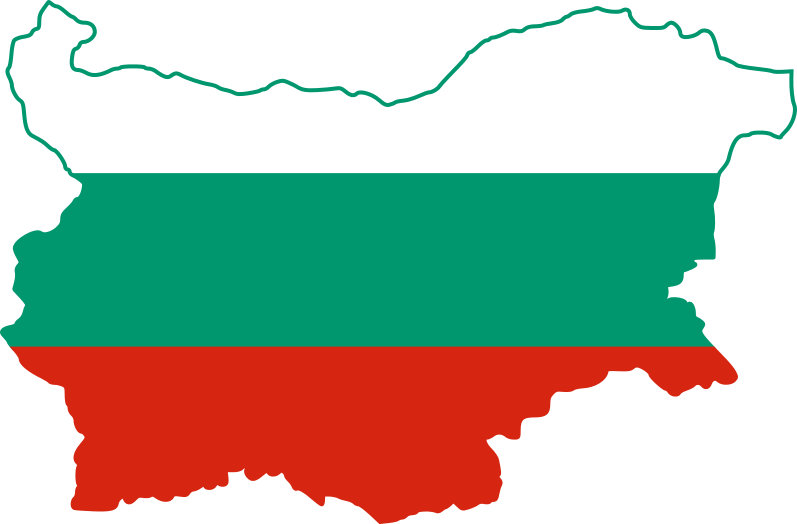 If you ever come to Bulgaria, let us know! Thank you for your kind words! I do mean it and will be looking forward to showing you around!